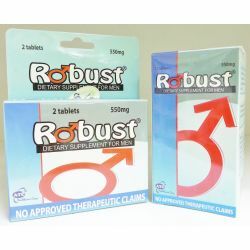 As dietary supplement to help restore physical energy in adult men. Direction: Take 1 or 2 tablets on empty stomach, 3 to 5 hours before intimate activity. Patients with existing health condition/ illness and those who are taking certain medications should consult the doctor before taking this product or any other supplement. NOT intended for use in ages below 18 years old. This product should not be used by patients with known allergy to any of its components.